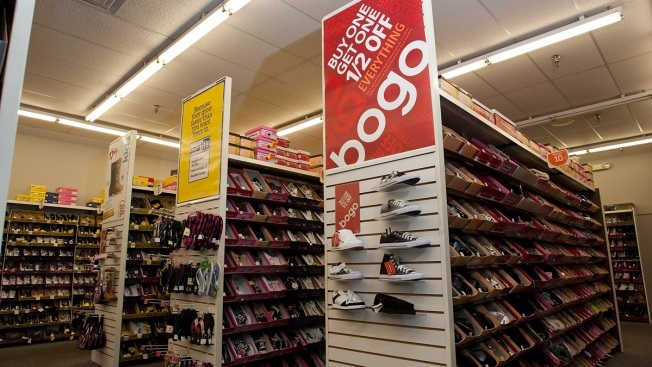 A general view inside the store at Payless ShoeSource on Nov. 20, 2009, in Cincinnati, Ohio. The company said in an email that the liquidation doesn't affect its franchise operations or its Latin American stores, which remain open for business as usual. It lists 18,000 employees worldwide. But bankruptcies and store closures will continue through 2019 so there's "no light at the end of the tunnel," according to a report by Coresight Research. Before this announcement, there have been 2,187 U.S. store closing announcements this year, with Gymboree and Ascena Retail, the parent of Lane Bryant and other brands, accounting for more than half the total, according to the research firm. This year's total is up 23 percent from the 1,776 announcements a year ago. Year-to-date, retailers have announced 1,411 store openings, offsetting 65 percent of store closures, it said.